In this powerful mini edition, Osteen encourages you to recognize that God has given you the tools to improve your life and to follow the steps to believe, favor, restore, trust, and stretch to achieve your divine destiny. 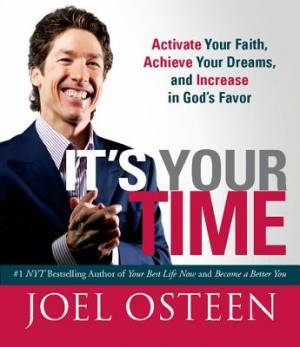 It's Your Time by Joel Osteen was published by Running Press in October 2012 and is our 12082nd best seller. The ISBN for It's Your Time is 9780762444182. Be the first to review It's Your Time! Got a question? No problem! Just click here to ask us about It's Your Time. Hi I would like to know what is the difference between the different it's your time? A:The three edition we stock are the paperback (9781439100127), the miniature edition (9780762444182), and the audio CD (9780743596855). The only differences are the medium in which they come. Thank you for using the Q&A Forum.